It’s such a great privilege being part of this wonderful pilot project. I really understand how it feels to be a refugee in the camp. Uganda is a home to the largest population of refugees on the continent of Africa and is has a relatively welcoming refugee support structure. Refugees in Uganda are allowed freedom of movement (to either reside in UNHCR-supported settlements or move to Kampala/other locations of their choice), they have the right to work, and school age children and youth are legally allowed to attend school. These refugees especially youth face a lot of social issues like Ethnic Conflict, Unemployment, A lack of opportunity for youth to explore their talents, a lack of opportunity for youth to raise their voices and express their choices and a lack of access to education towards youth empowerment. I salute this great initiative by World At Play to come and implement this pilot project for sports and games for the refugee youth in Rwamwanja. Since we arrived here, for us everyday is a new experience and challenge. However the group is committed to deliver wonderful sessions. For the side of the kids it is an amazing experience that they will never forget. Locally here in Uganda when you talk about sports people will directly think of Soccer, Netball and Badminton. 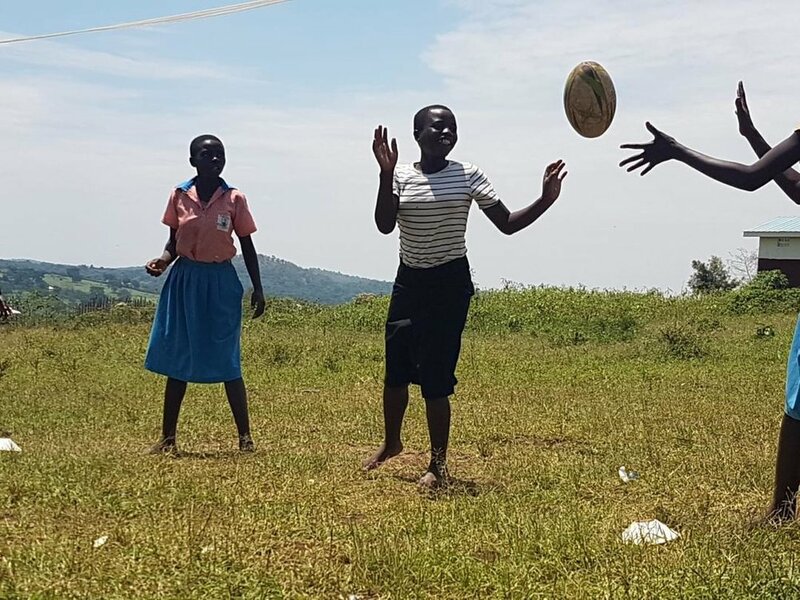 Now this project has given the refugees to learn new sports and games like; Frisbee, Hockey, Rugby, Rounders and many more. Coming to the sessions this week one similar thing happened, I can’t miss to talk about; on Monday we went to Ntenziryayo primary school for our sessions as planned in the schedule. We had planned to play rugby with these young people. I was holding the rugby ball then I asked the kids; what do I hold in my hands? What an amazing response we got from the kids; “ Some said a sweet potato and others a watermelon”. For me this was another great motivation to realize again that we have brought something new into their lives. This same thing kept on happening again and again to Kyempango Primary School, Mahani Primary School and Rwamwanja Primary school. 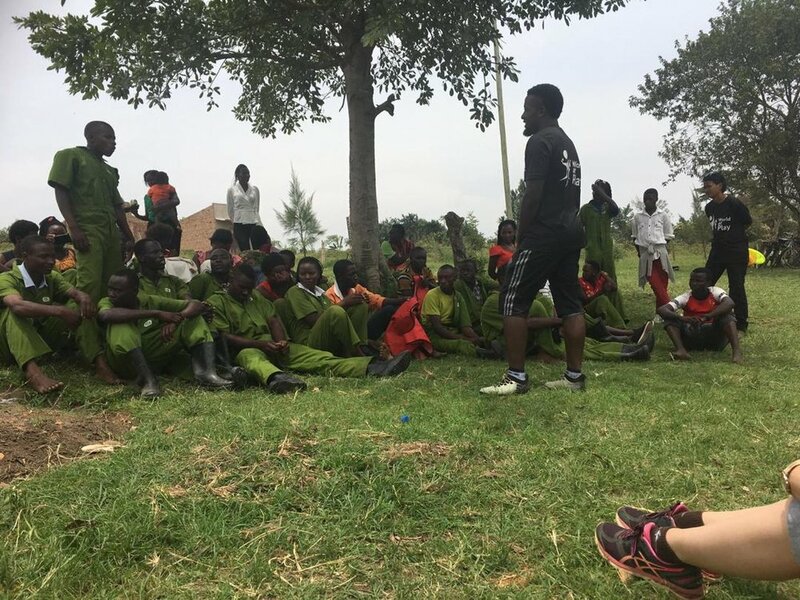 As a refugee who has experienced the same things as these young people; forced to flee my home country at the age of 16, it is very easy to understand what this project means to these youths. Many of these youths we are working with are going through a lot of problems. Some do not have a safe environment to try new things, some do not have the opportunities to play time, girls and boys do not have a chance to play together and girls are prohibited to play sports so they are responsible of all the shity works at home. Obviously some are in the same class but never got the chance to know each other's’ name. A project like this provide that space to these young people and when they see us all they can do is SMILING. They smile because they feel safe, they have a chance to make mistakes, they feel care about, they are not blamed, they feel considered, they have a voice and they like to PLAY. These games have a great impact in their lives and when it comes to the group discussions kids bring up strong points like; these games promote communication, cooperation, teamwork etc… And at last they say all of these skills help us promote PEACE. It a very big dream for every refugee to see peace in the communities they live in. One of the achievement from this week was seeing kids playing rugby as if they have ever played it before. Some started calling themselves rugby masters. I believe as a team we have got a story to tell not only a story of travelling to Rwamwanja but the story of how proud we are of the great impact made in the lives of these young people. Lastly but not least a big shout out to Wendy Williams for creating this passion in me. Also big thanks to Jean-Paul Elongo and the Centre des Jeunes Pour La Paix Uvira, D.R.Congo for choosing me to come and represent them in this project. I really look forward for the big project about WAP games with the Uvira community. Together we can make more kids SMILE again.